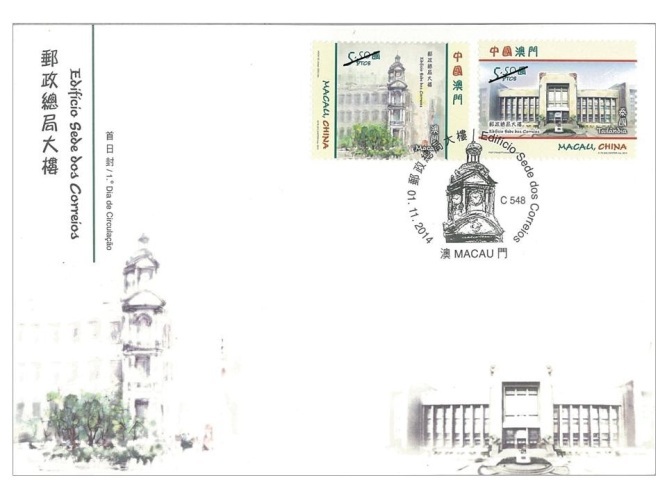 The first joint issue between Macao Post and Thailand Post with the stamp theme “General Post Office Building” will be issued on 1st November, 2014. 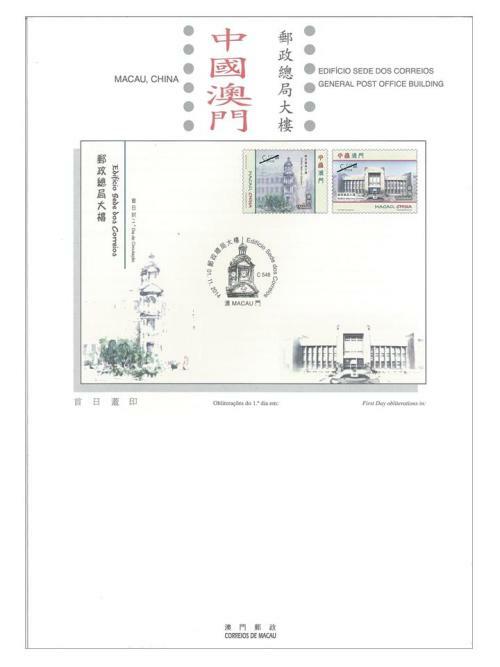 The stamp issued by Macao Post includes two stamps, illustrating the General Building of the two Postal Administrations: the Macao Post Headquarters’ Building was established in 1929, it is classified as a building with architectural interest and to this day exudes a breathtaking charm after standing strong for 85 years; the Thailand Grand Postal Building has been regarded as a heritage building in the style of 19th century’s architecture (Neo-classic Art) with historical values, and is praised nationwide as the National Heritage of great value in Thailand. 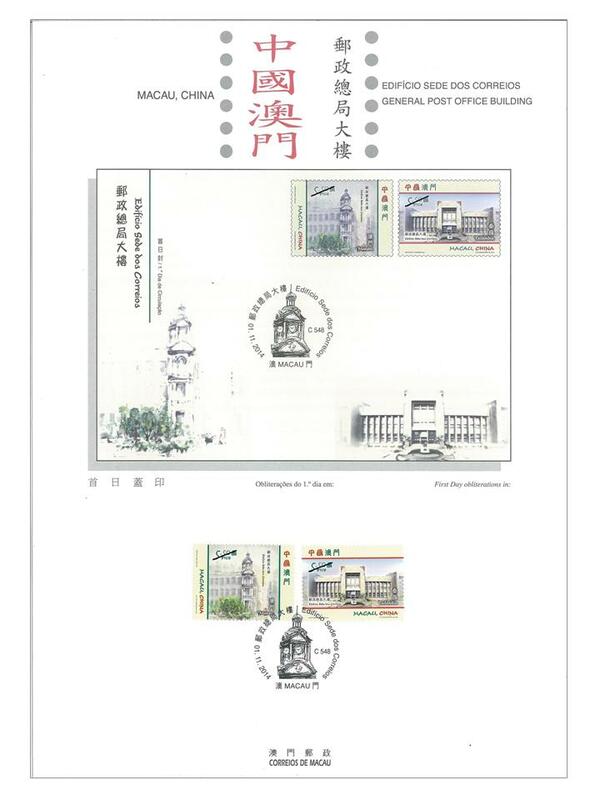 Besides the above philatelic products, the presentation pack with the theme “General Post Office Building” will also be released by Macao Post. 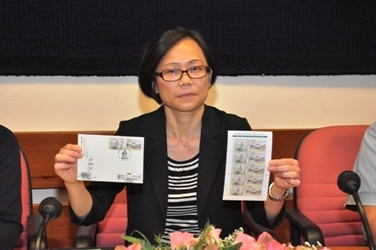 This pack includes the respective stamps issued by the two postal administrations, with total face values at 11.00 patacas and 6 baht respectively; and a joint first day cover affixed with a set of Macao’s stamps and a set of Thailand’s stamps of the same issue and cancelled with the postmarks of the respective administrations. It is priced at 80.00 patacas each. The masterwork of Macao deceased painter Mr. Kwok Se is selected for the Macao’s stamp, the image of Thailand’s stamp is painted by Mr. Pisit Prasitthanadoon. The composition of this issue is designed by Macao Post, and the text of the information brochure is written by Ms. Choi Tin Tin, Joy and the Thailand Post. This is the ninth issue in 2014. The previous issued stamps are “Lunar Year of the Horse” on 03/01/2014, “140th Anniversary of Conde de São Januário General Hospital” on 06/01/2014, the label stamp “Lunar Year of the Horse” on 14/02/2014, “130th Anniversary of Macao Post” on 01/03/2014, “Animal Protection” on 28/04/2014, “Literature and its Characters – The Outlaws of the Marsh II” on 26/06/2014, “The New Campus of the University of Macau” on 05/09/2014 and “Science and Technology – Magic Squares I” on 09/10/2014. 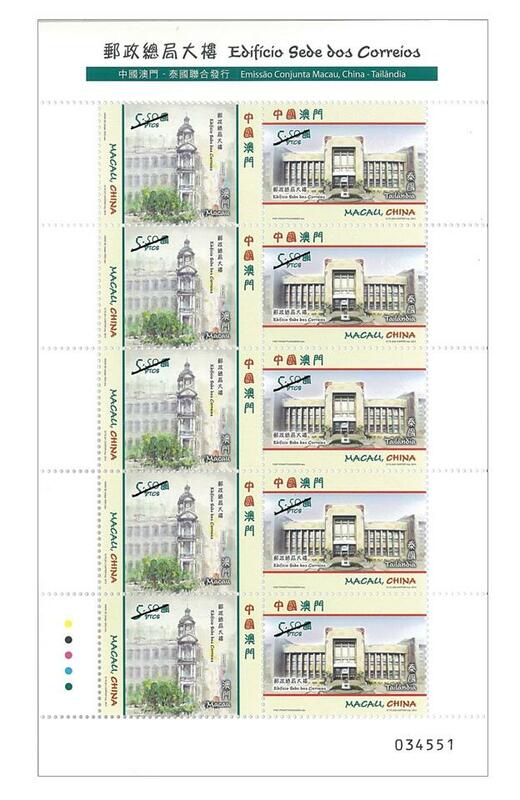 Technical Data of Stamp "GENERAL POST OFFICE BUILDING"